This is a match between a side that is looking to establish roles for its players – and thus achieve success and establish itself in a city that has been cold to the home team for 11 years – and a team that doesn’t want established roles. Kolkata Knight Riders come to Delhi with the most fluid and flexible batting line-up among IPL sides, and an unbeaten record this year. 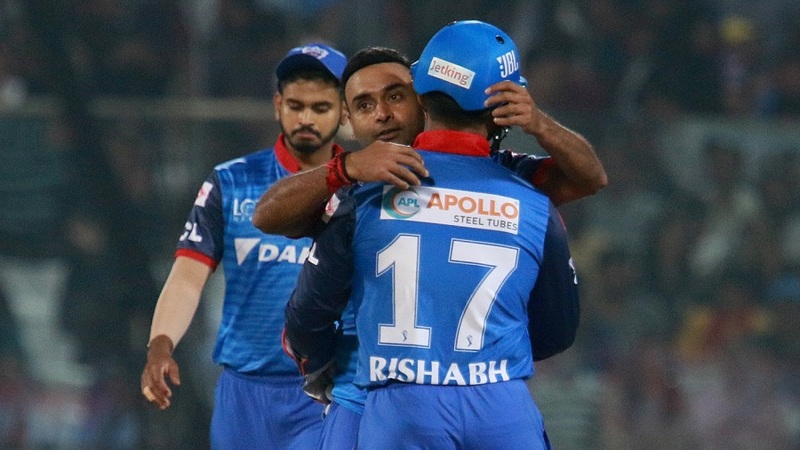 The hosts, Delhi Capitals, soared magnificently in the first match against Mumbai Indians, but were laid low partly by their own home conditions and partly by their failure to adjust to the dry pitch that offered natural variations to bowlers. Knight Riders will provide Delhi as big a challenge as Chennai Super Kings did. They have three spinners of varying quality and mode of operation, and they are not short of quicks who can hit the deck. As Ricky Ponting said after the defeat to Super Kings, Delhi will have to find a way to bat smarter. Chris Morris is back for Delhi, and will give them a hit-the-deck bowler and a big-hitting allrounder possibly at the expense of Keemo Paul. Morris pointed out that the square doesn’t look like it did last year where they averaged around 190 batting first. In fact they scored 219 when they last faced Knight Riders at home. If they continue with their strategy of batting first – there hasn’t been much dew to speak of – they might set their sights on around 170 and then try to get to Andre Russell early and then past him. If they open with spin, Knight Riders prefer to do it with Piyush Chawla, but his record against Shikhar Dhawan is not great. Will either Sunil Narine or Kuldeep Yadav be used with the new ball then? In all likelihood, they will not use a spinner to open the bowling, and will wait for the ball to get slightly older. There has been a clamour for Sandeep Lamichhane to play, but Amit Mishra holds a good record against Russell. In fact, that probably makes a case for more legspin at Russell. They will play at least two anyway. Knight Riders lead the head-to-head record 13-8. Last season, spinners averaged 31.5 and conceded 7.8 per over in Delhi, while the quicks managed corresponding figures of 34.6 and 9.4. Among players who have faced at least 100 balls at the death in the IPL, Rishabh Pant has the best strike rate at 233.33 and Russell the fourth-best at 198.83.